Welcome to an enchanted Match 3 puzzleadventure. 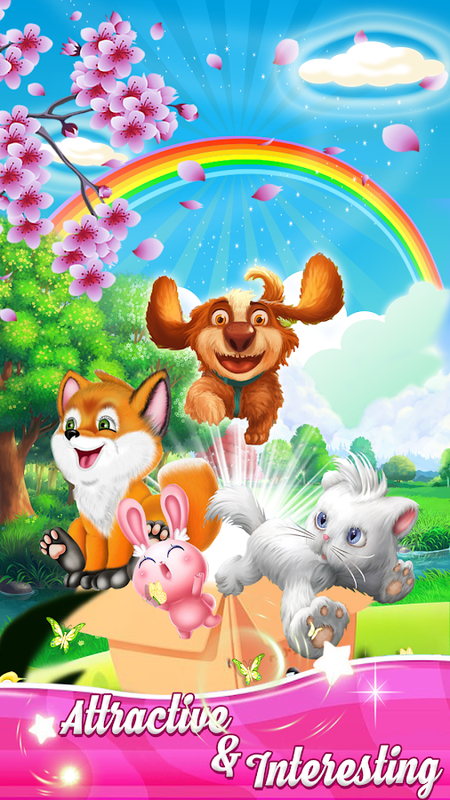 Go for an amazing Pet Farm Mania in a magical land while yousolving fun match 3 puzzle quest across 500 exciting levels in acolorful world. Switch and match between 3 or more sweet birds and make a clash ofjewels to crush them and achieve your goals in great epicblasts. Discover challenging levels which providing you different goal withenormous collection of wonderful powerful boosts, highlychallenging obstacles, time limits, limits of moves, differentboard shapes with refreshing bird arrangements. Use the free boosters shop at the beginning of each level. 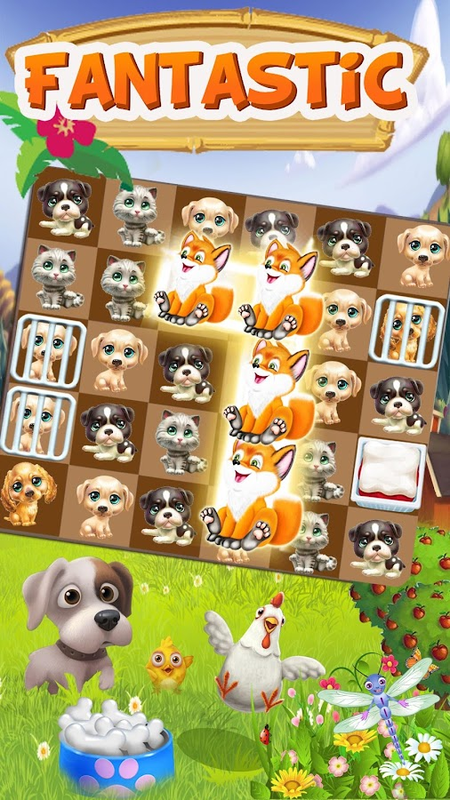 Perform brilliant match 3 puzzle moves with smart crushcombinations to make a big blast with superb animation effects andcool bonuses, in order to get the 3 stars score and earn largeamount of gold coins, these coins will serve you in the boostersshop. The bigger your score, the bigger amount of coins you willget. Prepare to bird fever levels which increases their difficulty ineach level up, to make sure you will never get bored and check ifyou are a match 3 master. 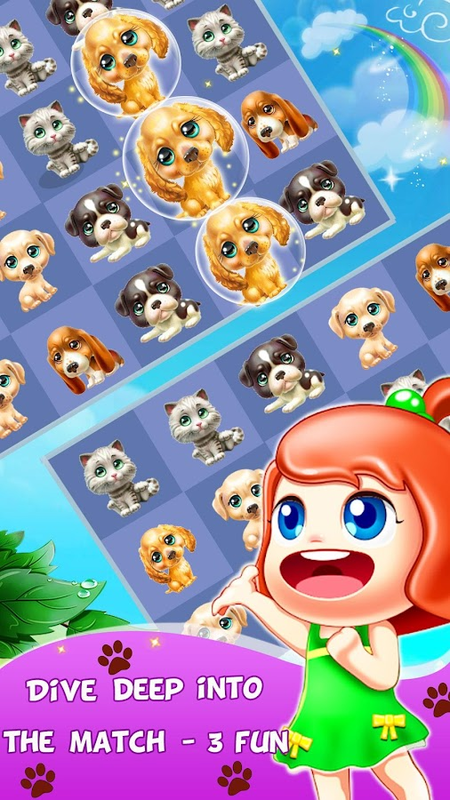 Pass your free time with the best match 3 puzzle game. ✔ Combine 2 special cakes to make a big surprised yummyblast! Pet Farm Mania is FREE to play with FREE updates including newlevels, obstacles, treats, and more every week! Classic Bubble Penguins Pop is anAddictiveGame. And our Bubble Penguins Pop is not just that. It ismoreSimple and Amazing! It is a Single-player Game and NoNetworkRequired. Once you start, you will not stop playing. Justhave atry, you will find Endless Fun!---WHY YOU SHOULD CHOOSE IT?---★-->A lot of Challenging Puzzles!★-->Exquisite Game Interface!★-->Cool Animation Effects!★-->Download for Free!★-->Applicable to Any Ages!★-->Applies to All Android Devices or Google Play Users!★-->Any time at Any Place!Features:- New levels will be added every week.- Super easy to pick up and play! Applicable to Any Ages!- To Kill the Boring Time!- The levels will get harder gradually and you’ll nevergetbored.- Beautiful graphics and cool animations.- Four different dramatic Boosters that help you win the game.TheBoosters are all easy to master!- Smooth and perfect operation of the game! 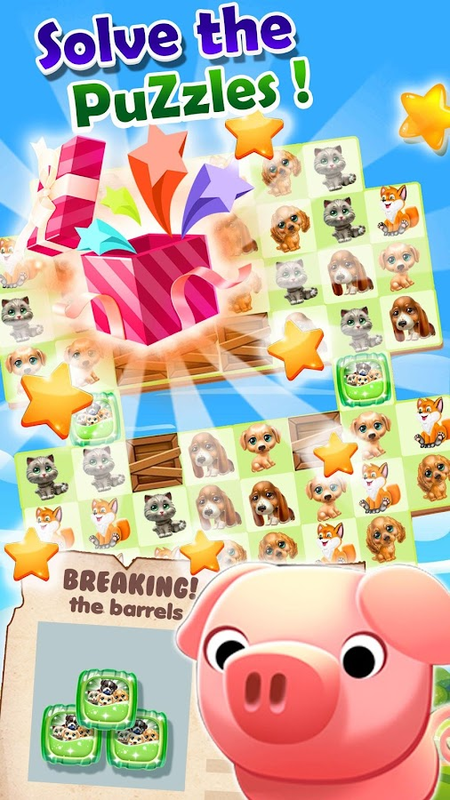 Fluentshootingexperience!- Free download and free level updates!How to play Bubble Penguins Pop?- Move your finger to the target, aim, and shoot!- Match 3 or more Bubbles to Burst!- Burst all the bubbles to rescue baby squirrels and try to getmorescore on each puzzle. Welcome to an enchanted Match 3 puzzleadventure.Go for an amazing Pet Farm Mania in a magical land while yousolving fun match 3 puzzle quest across 500 exciting levels in acolorful world.Switch and match between 3 or more sweet birds and make a clash ofjewels to crush them and achieve your goals in great epicblasts.Discover challenging levels which providing you different goal withenormous collection of wonderful powerful boosts, highlychallenging obstacles, time limits, limits of moves, differentboard shapes with refreshing bird arrangements.Use the free boosters shop at the beginning of each level.Perform brilliant match 3 puzzle moves with smart crushcombinations to make a big blast with superb animation effects andcool bonuses, in order to get the 3 stars score and earn largeamount of gold coins, these coins will serve you in the boostersshop.The bigger your score, the bigger amount of coins you willget.Prepare to bird fever levels which increases their difficulty ineach level up, to make sure you will never get bored and check ifyou are a match 3 master.Pass your free time with the best match 3 puzzle game.★ ★ How to play Pet Farm Mania ★ ★✔ Switch and crush 3 candy or more sweet candy✔ Crush 4 candy frenzy in a line to create lighting thunder✔ Crush 5 candy frenzy with T or L shape to create bomb✔ Crush 5 candy frenzy in a line to create color blossom✔ Combine 2 special cakes to make a big surprised yummyblast!✔ Collect candy contain gift time, double scorePet Farm Mania is FREE to play with FREE updates including newlevels, obstacles, treats, and more every week! Decorate your mansion with a match-3 makeover puzzle game! Designnew home decor & furniture by matching candy, power-up withlevels and renovate your entire house, including your kitchen &garden. Download Matchington Mansion for match 3 makeover madness!Match candy and play Matchington Mansion, an adventure filled fungame! Hone your interior design skills while protecting your housefrom a mischievous cousin, unlock new rooms, renovate your kitchenor garden and discover secrets hidden among the furniture – allwith a cast of quirky characters in tow. You can even spy on theneighbors and check out their room design choices. Are you ready tonavigate this challenging match-3 home decor puzzle game? RoomDesign & Match 3 Makeover Madness: Top 5 Reasons to Download:Match & swap candy in a fun game to innovatively decorate yourmansion! Secrets, rewards and an intriguing narrative – piecetogether all the hidden objects & learn new secrets In-gamecharacters to meet and interact with – follow their interestingstories while you play Play levels with tons of room design options& thousands of DIY Decorations – unlock hidden areas forrewards Power-up combos, incredible boosters and tons of levels ina fun game of matching! Decorate your mansion, power-up and deckout your kitchen & garden in style. Unlock hidden areas forrewards, makeover each room with new furniture and interesting homedecor. Puzzle out Matchington Mansion adventure stories withinnovative matching gameplay, aided by your friend Tiffany, quirkycharacters and a house cat or pet dog along for the ride! PlayMatchington Mansion for FREE, with optional in-game items forpurchase. You can turn off the payment feature by disabling in-apppurchases in your device’s settings. Download our match-3 adventurepuzzle game – the MM team sincerely hopes that you like it! We areworking very hard on perfecting it, so if you run into any issueswhile playing or you have any suggestions, please don’t hesitate toreach out to us at [email protected] More ways to learnabout Matchington Mansion: Facebook:https://www.facebook.com/matchingtonmansion/ or [email protected] Mansion to follow us.